The Board of Supervisors of Los Angeles County recognizes the public’s concern about privacy on the Internet. This privacy statement establishes how information gathered about you from your visit to our website will be used by this website’s operators. As a visitor, however, you should be aware that much information submitted to Los Angeles County is public information under the laws of the State of California. Under some circumstances, we may be required to disclose such information in accordance with the California Public Records Act or other legal requirements. We may collect and store information for statistical purposes. For example, we may count the number of visitors to the different sections of our site to help us make them more useful. The information collected may include such items as the name and domain of the host from which you access the Internet, the Internet Protocol (IP) address of the computer you are using or your browser software and operating system. This information does not identify you personally. By sending us an electronic mail message, you may be sending us personal information (i.e., your name, address, e-mail address, etc.). We may store the name and address of the requester in order to respond to the request or otherwise resolve the subject matter of your e-mail. Some County department or agency websites may ask visitors who request specific information to fill out a registration form. For example, vendors requesting access to Requests for Bids, Requests for Proposals or homeowners or businesses requesting Permits, may be asked to provide their names, addresses, e-mail addresses and other pertinent information to ensure we can process and deliver the information requested. Other information may be collected at these sites through questionnaires, feedback forms, or other means, to enable us to determine a visitor’s interests, with the goal of providing better service. also known as a post-mortem examination, necropsy (particularly as to non-human bodies), autopsia cadaverum, or obduction — is a highly specialized surgical procedure that consists of a thorough examination of a corpse to determine the cause and manner of death and to evaluate any disease or injury that may be present. It is usually performed by a specialized medical doctor called a pathologist. blood, sections of organs, vitreous, bile, and urine. an injury or disease that ultimately leads to death of the individual, generally determined by medical examiners or coroners. in California, in order to execute a certificate of religious belief, a person must be 18 years of age or older and must state in clear and unambiguous language that any postmortem anatomical dissection or that specified procedures would violate the religious convictions of the person. The certificate must be signed and dated by the person in the presence of at least two witnesses. Each witness must also sign the certificate and must print on the certificate his or her name and residence address. California law allows the state to override religious objection if the coroner "has a reasonable suspicion that the death was caused by the criminal act of another or by a contagious disease constituting a public health hazard." a method of keeping track of who has handled a piece of evidence and when. is a complete autopsy of a complex case, including the following types of cases: homicide or suspected homicide, undetermined mode of death, hit-and-run accident, sudden infant death, officer-involved death, death in custody or during involuntary psychiatric hospitalization, unidentified decedents, therapeutic misadventures, and skeletonized remains, or any autopsy that takes more than 3 hours. is a complete autopsy of a less complex case, for example: natural disease, overdose cases hospitalized less than 24 hours, traffic death with charges, except hit-and-run cases, death at work, except natural deaths where there is a clear history of serious disease, electrocution, unwitnessed drowning, and fire deaths. is a limited autopsy including dissection and evaluation of internal organs for pathology. For example: opening the chest for bullet recovery, contagious disease, religious objection to a complete autopsy, or a partial autopsy where the brain is examined for possible non-homicidal head trauma. is an external examination, with incisions only for collection of toxicology specimens, small biopsy of an external lesion, or a skin incision for bullet removal. For example: hanging, except hanging in custody, suicidal gunshot wounds without bullet recovery, traffic accidents without charges, natural death of males 50 and over or females 60 and over, overdose cases hospitalized over 24 hours, suicide by plastic bag over head, suicide by jumping, suicide by carbon monoxide inhalation, or natural death in person with documented serious illness. Note that jugular blood, femoral blood, and vitreous must be obtained in Class D cases whenever possible. is a public official whose principal duty is to inquire into any death that appears to be unnatural. Coroners often possess both legal and medical qualifications, but the office is sometimes filled by laypersons, including undertakers, sheriffs, and justices of the peace. In many states the office has been replaced by that of the medical examiner, who is usually a licensed pathologist. 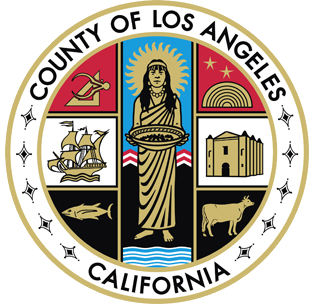 The County of Los Angeles will cremate the remains of a decedent and hold the cremains (ashes) for a period of time (about 3 years) before the ashes are interred in a common gravesite at the LA County Cemetery. the disintegration of body tissues after death. any physical items such as bullets, hairs, fibers, biological fluids, etc., documents and statements that are included in a legal investigation for the jury’s or judge’s consideration in the determination of an individual’s guilt or innocence. A medical doctor who specializes in the sub-specialty of pathology that focuses on determining the cause of death by examining a corpse. The autopsy is performed by the pathologist usually during the investigation of criminal law cases and civil law cases in some jurisdictions. Forensic Science is the application of all forms of science to aid legal investigations. The lack of ability to pay as a legal reason for having certain required fees waived; being declared eligible for free services. is how the death came about. Natural - due entirely (or nearly so) to natural disease processes. Homicide - due to a volitional act of another person. Suicide - due to injury that occurred with the intent to induce self-harm or cause one’s own death. Accident - due to injury when there is no evidence of intent to harm. Undetermined - inadequate information regarding the circumstances of death to determine manner; example: individual found unconscious with massive subdural hemorrhage; in the absence of information on the events leading up to death, it is impossible to determine if the hemorrhage is due to accidental fall, homicidal violence, etc. is a medically qualified forensic pathologist and government official whose duty is to investigate deaths and injuries that occur under unusual or suspicious circumstances, to perform post-mortem examinations, and in some jurisdictions to initiate inquests. a medicolegal autopsy is done with the possibility of litigation in mind. The autopsy is designed to determine the cause of death, properly document findings, and collect evidence. A primary objective is to try to reconstruct the circumstances and events that led to the death so that a mode (natural, accident, suicide, homicide, or undetermined) can be established. A medicolegal autopsy differs from a hospital autopsy. A hospital autopsy is designed to confirm a known or suspected disease and gain further knowledge of the disease. The emphasis is placed on the gross and microscopic examination of internal organs. In a medicolegal autopsy the emphasis is shifted to the external examination and the description of external and associated internal injuries. Microscopic examination is done only when indicated. Information about identification of the remains, time of death, evidence of drug use, age of injuries, etc., becomes important and must be recorded carefully. It is imperative that findings be recorded clearly and objectively. Any forensic pathologist should be able to interpret the findings years later without difficulty. The forensic autopsy protocol must be standardized and reproducible. aNearest relative: if married, the spouse, if no spouse then adult children, or surviving parents, or blood relative, according to California State Law, unless otherwise specified in a legal document. or postmortem (after death) toxicology analyzes biological specimens collected at autopsy for the presence of drugs, toxins, and poisons to help determine cause and manner of death.